Once in Sunday School a missionary’s talk tugged at my ten-year-old heartstrings and my eyes and nose started leaking. My own Sunday School teacher Mrs. Montgomery saw my predicament and pressed her clean hankie into my hand. I was initiated. My grandmother probably owned quite a few handkerchiefs, but she liked modern conveniences like Kleenex, and I suspect that her cloth versions lay in a drawer, waiting to be passed on to me. Where I grew up on a farm, I never saw one. Until I inherited Grandma’s I might have owned just this one I had bought i n Turkey, the oddest handkerchief I have ever encountered. I must not have had much experience after that missionary talk, or I would have known better than to buy a handkerchief with a grid of heavy stitching all over it, seemingly designed to irritate a nose that might already be red and raw. I keep it now only as a memento. My mother-in-law also left many pretty examples, some of which look like they have been well used, but I think not by her. She likely inherited many from her mother and aunts, who were known to make things like this. I think this dark blue hankie must be a homemade one. I’ve been using hankies from all these womenfolk for at least fifteen years now, glad to stop having tissues in my pocket, because one would too frequently get into the washing machine and turn to shreds, making a mess on dark clothes. I’ve heard that the soft and sheer cloth that most of these are made from is easier on your skin than facial tissue – Do you think that is a myth? My husband wanted to s top using paper tissues so I made him quite a few of these plaid handkerchiefs out of an old skirt of mine. He typically had one sticking out of his back pocket, and now I’ve inherited this collection, too. 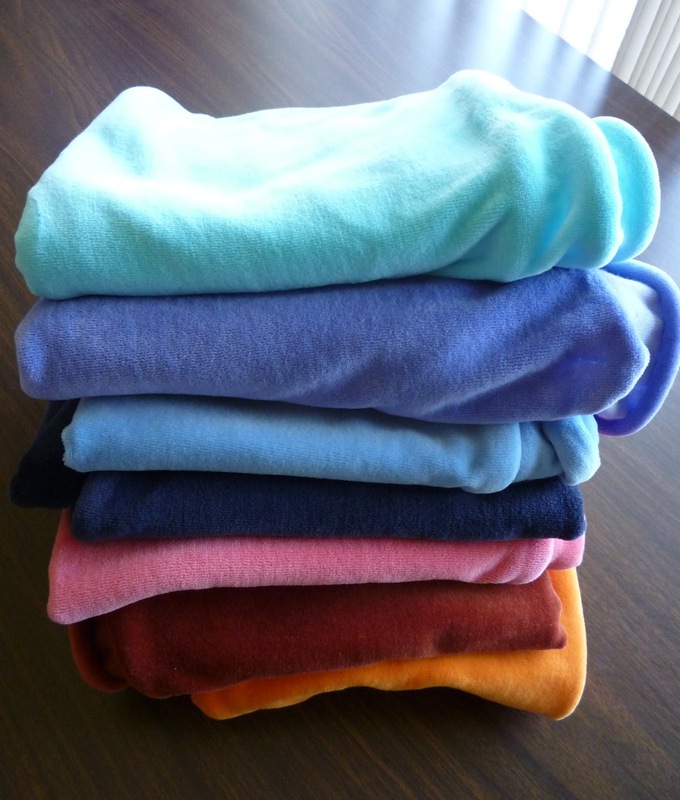 There may be dust bunnies on my floors and dishes in the sink, but I always take the time to iron my hankies and handkerchiefs, and to have a stack of them downstairs and handy for when I go out, especially on a walk or in cold weather when the cold front meets the warm front…. Jeans and hiking boots are often my style, and in the backpacking era I’d have had a bandanna along, but nowadays when I reach into my pocket on frosty mornings it will be to find a dainty hankie that is a most practical accessory, and serves the added purpose of keeping me in mind of my foremothers. The sun came out for a few days and my first Dutch irises opened up. but the Valentines from Liam and Laddie are brightening my space. My love to all of you on this day. He makes us stitch and sing. I have an assortment of things to share, which I beli eve all flow from people’s creative impulses. So I’ll make that my theme. When I was sorting and sifting with Kate I found some crafty things I did when money was tight. 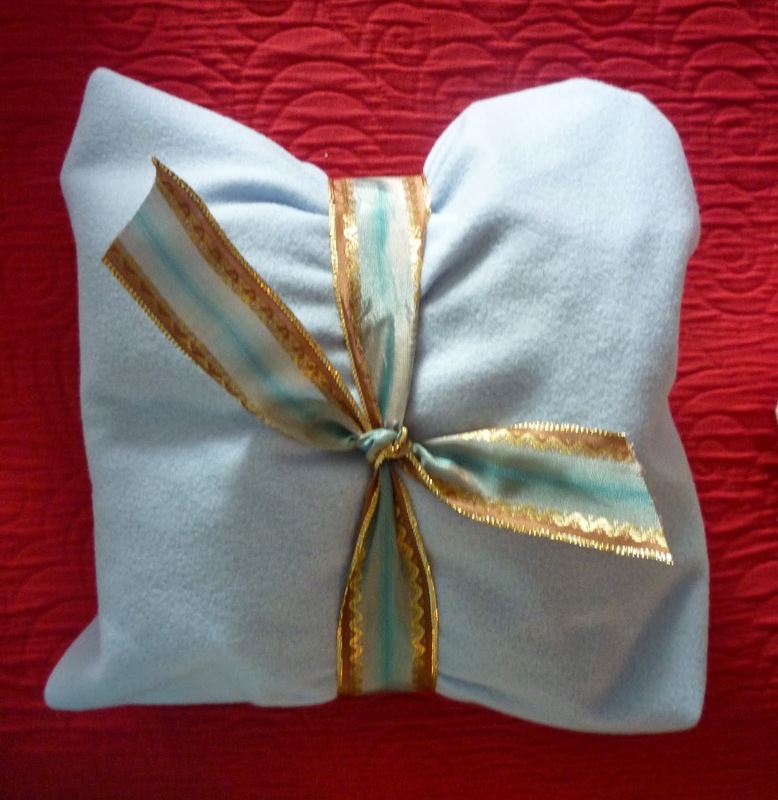 If you make presents for your parents you might inherit those same things after a while. This was the case with wall-hangings I made 40 years ago, which came back a few years ago, but then got buried again until last month. This one speaks to me now, so I hung it over a knob near where I am typing at the moment. The scraps of fabric I used remind me of dresses I made for myself in high school and college. Another sort of scrap art is this large design in cloth that I found last month on the wall of a hospital corridor, when I was walking up and down with a post-surgical patient. That hospital has really nice art on the walls, and I kept thinking I should go on a picture-taking tour, but I didn’t. A close-up of this one shows the close quilting. I have to cre dit Chel at Sweetbriar Dreams for introducing me to Ben Wilson via her blog. This man paints miniature works of art on chewing gum that has been rudely and antisocially discarded on the streets of London. I liked this BBC video about him. The art at right includes mention of the Isle of Wight, which reminds me that I didn’t tell you about the birthday party we had for Mr. Glad last month. If it’s not too dear. At least I got a break during church this morning when other music pushed the torture aside. I went with Mr. Glad to his church which was meeting for the first time in a new place, and I took a few pictures of the window shades which I thought much better than a lot of modern church art I’ve seen. I of course prefer icons, but these images feel light and joyful, and are reminiscent of stained glass. The last one shows the Alpha and Omega, the first and last letters of the Greek alphabet, a reference to Christ from the book of Revelation. He is “The Alpha and the Omega, the beginning and the end.” As all our arts begin with gifts God has given us, may their ends also be for His glory and in His praise. Back in August I posted this picture of yummy fabric I had bought to use sewing the Waldorf doll I wanted to give to granddaughter Ivy for her first birthday at the end of September. I managed to do it! As it was my first time assembling this kind of head and body and sewing a face, I decided to make two dolls so as to get extra practice. I was so glad I did, because very quickly it became obvious that two very different little dollie girls were taking shape. It wasn’t just that one had brown hair and one had yellow. The expressions on their faces and even the shape of the heads gave them different personalities. I knew early on that I liked the brown-haired dollie much better than her blond friend. The blonde — I hate to say it — looked like the neighborhood girl no one wants to play with. Why was that? My friend Myriah agreed that she wasn’t very likeable, but she thought I should try to fix her. So when I was up at the cabin in early September I tried to brighten her up a bit. Both her eyes and her mouth were problematic. 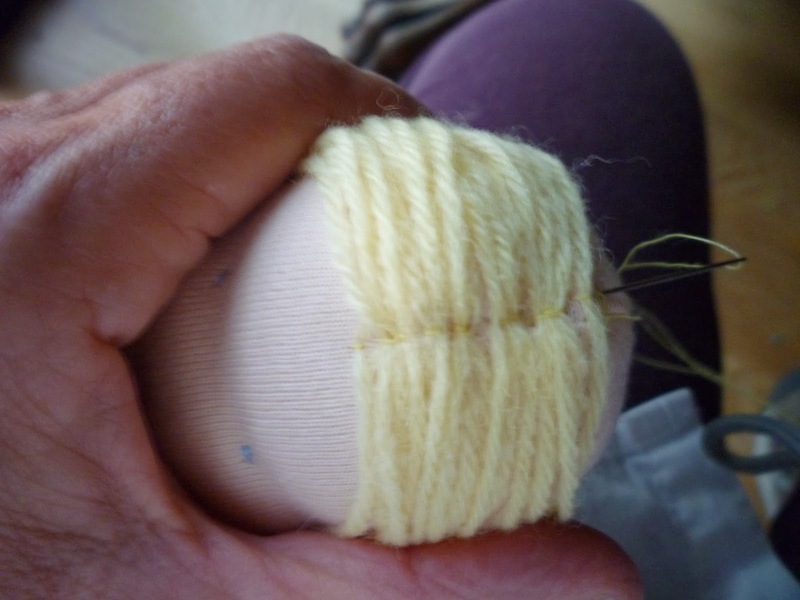 I guess I had learned how hard it is to make short and precise stitches in such a way that they form at least vaguely even features, when the instructions are to use only two stitches per feature. The mouth looked pinched, and the eyes squinty. Not only the position of the features and the meagerness of them were unappealing, but the color was lacking. The eyes were pale blue, the mouth pale pink, and as I had already sewn a light color of hair on her head, the total effect was washed out. On a rainy afternoon up there in the mountains I set to work, and added bright aqua embroidery thread to her eyes, and darker pink to her mouth. 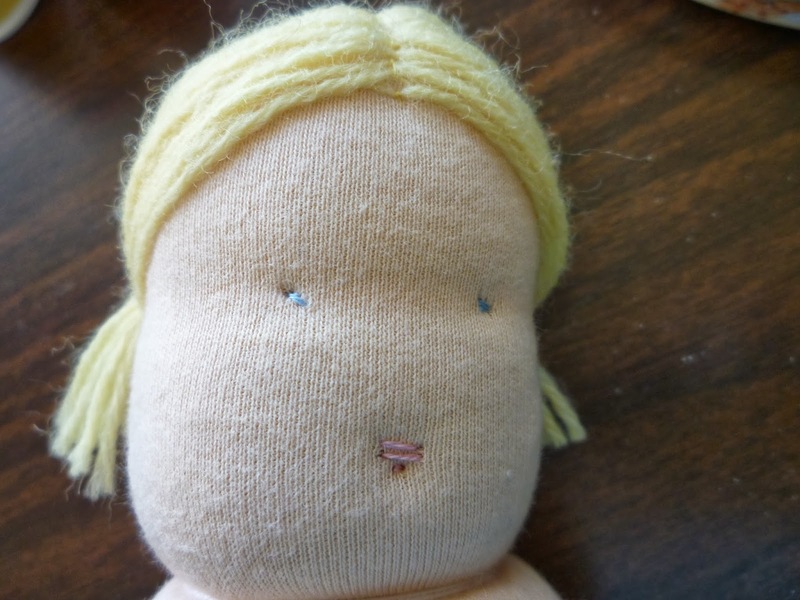 After just a couple more stitches in these more intense tones, her disposition and her IQ improved dramatically. Her jaw is still a bit too prominent, shall we say, but maybe that will not be too bad when she gets her hood on. I’m just happy that she is calmer and more agreeable. I still haven’t finished Blondie, because I knew I wanted to give the sweeter baby to Ivy. The thrill of seeing the two dollies come almost to life was not something I expected. Immediately I had the urge to start forming a new creature right away, just to find out what sort of character he or she might turn out be. Other things have taken my attention and prevented me, but my materials are at the ready whenever I find the block of time to take the next first step. In the meantime, I finished the brown-haired lass up with a lavender suit, and posed her all over the house and yard in hopes of getting some good pictures to show you. I was surprised at how much Bag there is to a Baggy Doll. 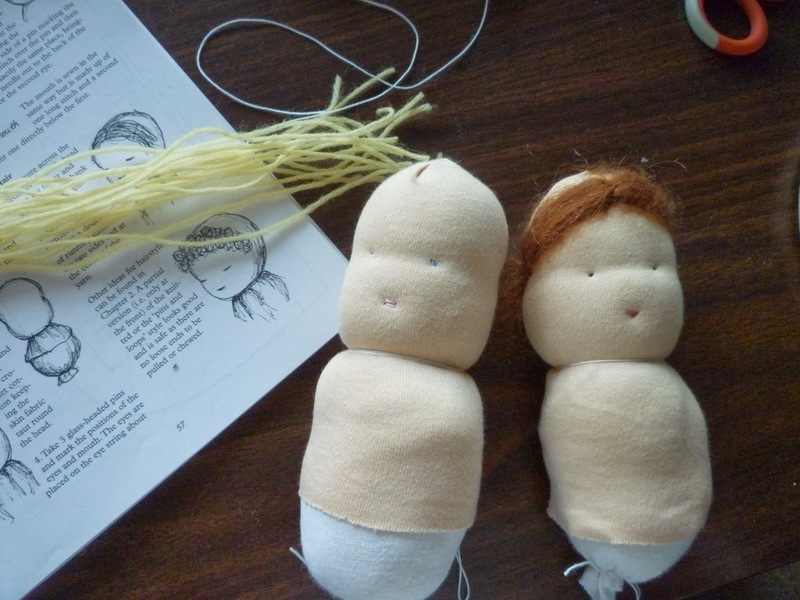 The drawings in the book from which I got the pattern somehow don’t convey the pillow-like quality of the doll’s body, a shape they say toddlers love. 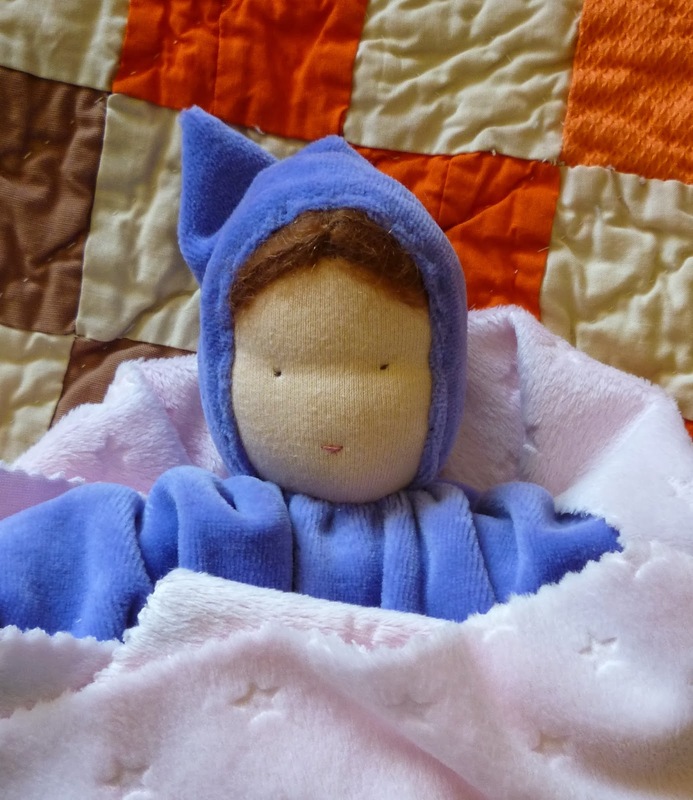 I pinked the edges of some fleecy fabric to make the first layer of “wrapping,” and then put her in a final layer of blue flannel that could also serve as a doll blanket in the future if the children get into the business of playing house and wrapping up dolls or stuffed animals. They might not…they are outdoorsy kids whose own mother never cared much for dolls. But the dolly whom I now call Lavender Baby won’t mind if she sits on the sidelines or in a corner of the crib. 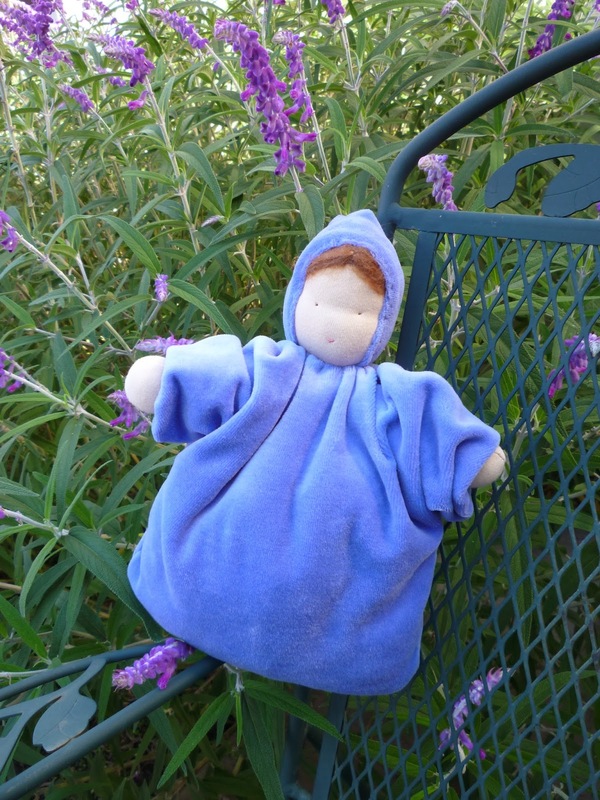 Her hood and all her wool stuffing will keep her warm, and she lives in a house full of love and joy, to which she has already contributed just by being her happy and cuddly self. 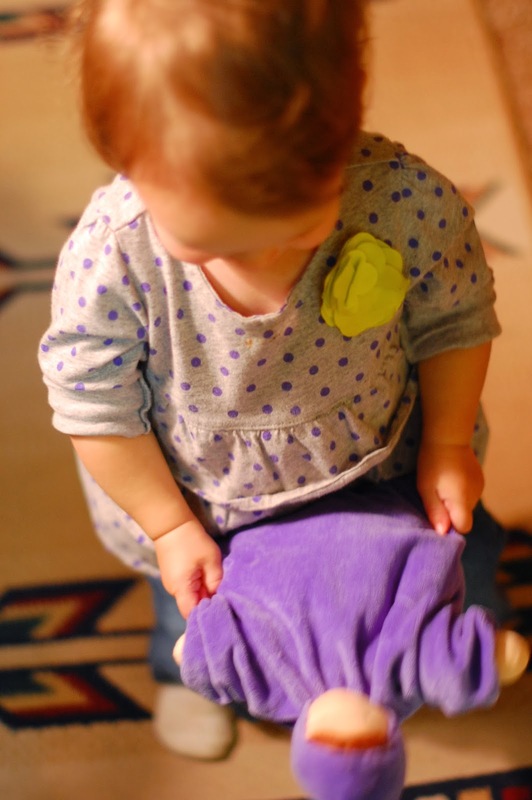 Little Ivy didn’t waste any time getting familiar with her new doll and flopped her around contentedly.